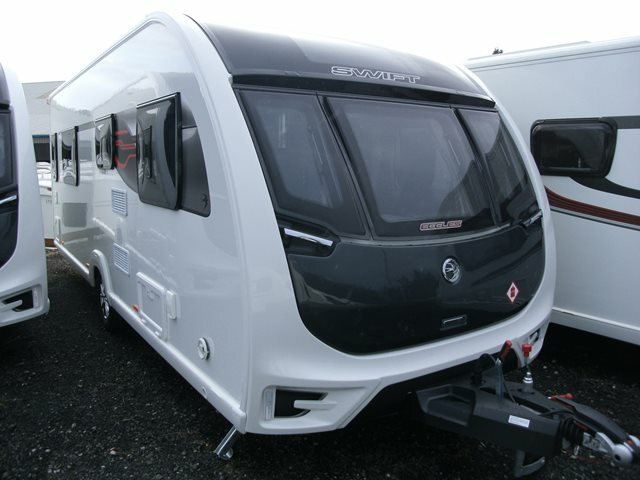 Our new Swift Eccles 580 is shown below, for more information please contact us. The four berth Eccles 580 features two bench seats to the front, central kitchen, transverse island bed and spacious end wash-room. For any further information please contact us on 01384 413336 and ask for a member of the sales team. PLEASE NOTE PRICE INCLUDES THE LUX PACK OPTION WORTH £595.